You may have noticed the little search box on this blog. This is not a standard feature of Ghost, it's Google Custom Search embedded in Ghost. In this post I'll walk you through the process to set this up. Then use Control Panel to customize it. I went for a Search box on every page combined with a results page. Not with a standard Google styled search box, but with a custom one. Use "Results Only" and then "Save & Get Code"
You can customize your Google Custom Search a bit further, I've linked my Google Analytics, set the Query Parameter name and a few other things. 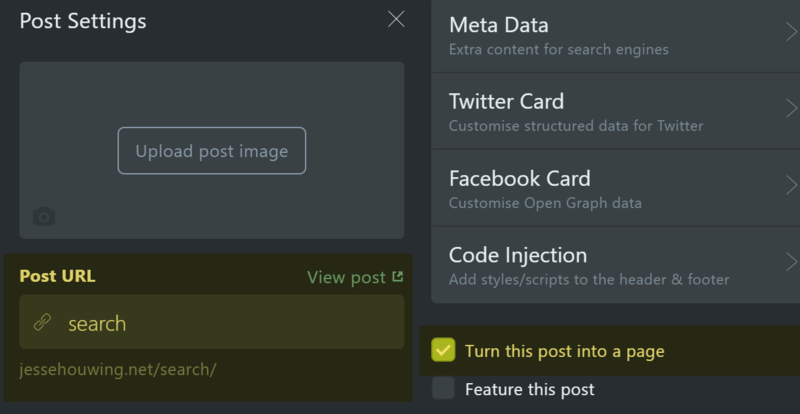 Set the Post Url and turn the post into a page. The code above overrides a number of styles to make the search results appear "pretty", the Casper's default stylesheet will make it look hideous. These overrides alleviate some of those issues. It's possible to add your Search page directly to the Casper Theme. I have chosen to keep the code in a Post, because it allows me to tweak it more easily. To add the search box to your page you'll need to tweak the Casper Theme. You may have already seen how I've setup a small CI/CD pipeline to keep my Casper Theme updated. 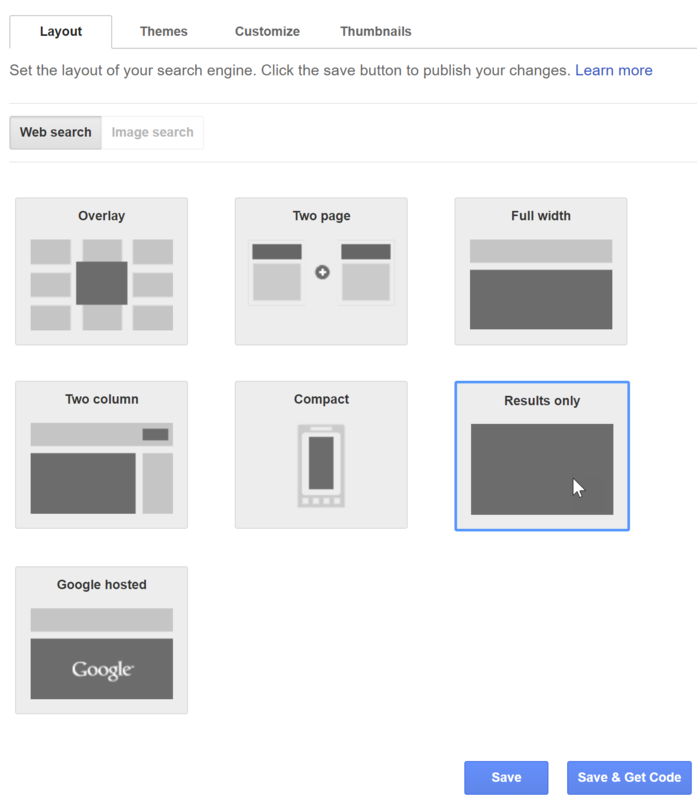 After updating your Ghost theme with these changes, the search box should appear. That's it. 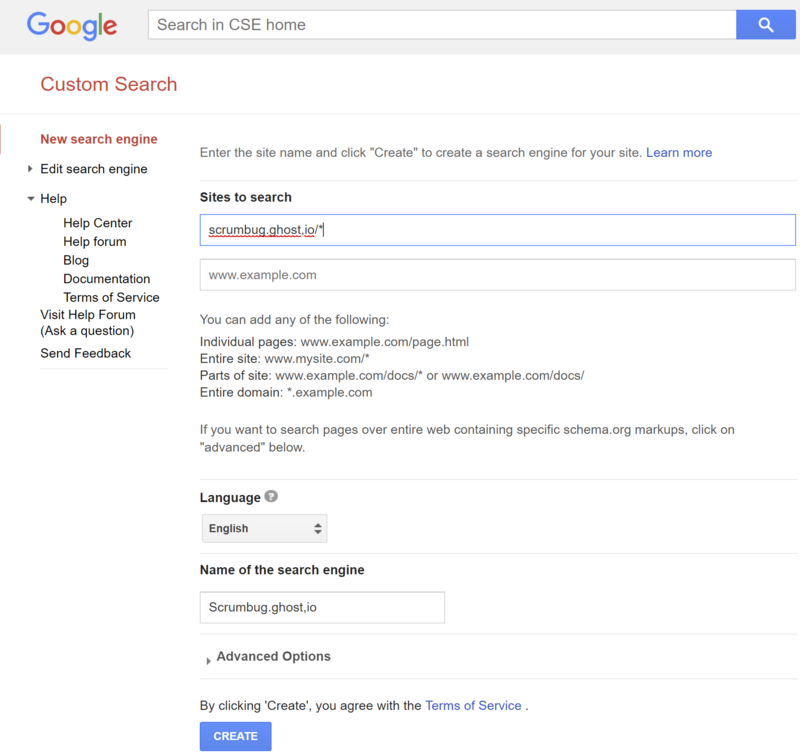 Just 3 simple steps to add Google Custom Search to your Ghost blog.